On September 8 at approximately 7:00 p.m. a Calcasieu Parish Sheriff’s Office deputy responded to a call at a grocery store on Nelson Road in Lake Charles in reference to a suspicious circumstances. The deputy was advised there was a man sitting in the driver seat of a running car who was vomiting and was slumped over pressing on the horn. 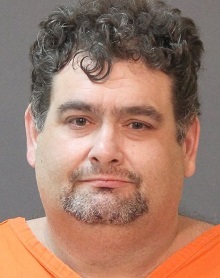 When the deputy arrived he shut off the vehicle and spoke with the man, Roger P. Koss, 39, 5945 Perry Lane, Lake Charles. While speaking with Koss he detected an odor of alcohol emitting from his person. Koss stated to the deputy that he drank a bottle of Vodka, and the deputy located a nearly empty quart of Vodka in the car. Due to Koss’ impairment and risk of falling, the officer did not conduct a standard field sobriety test. Koss, who has 2 previous DWIs in the last 10 years, was arrested and transferred to the Calcasieu Parish Sheriff’s Office, where a breath intoxilyzer test revealed he was over the legal limit. Koss was transported to a local hospital due to his level of intoxication and after released he was transported and booked into the Calcasieu Correctional Center and charged with DWI 3rd. Judge David Ritchie set his bond at $50,000 with special conditions being that he cannot consume any alcoholic beverages, he cannot operate a vehicle without an ignition interlock device, no other criminal activity, and he must be subject to random drug and alcohol screenings. CPSO Cpl. Robert Waggoner is the arresting deputy on this case.